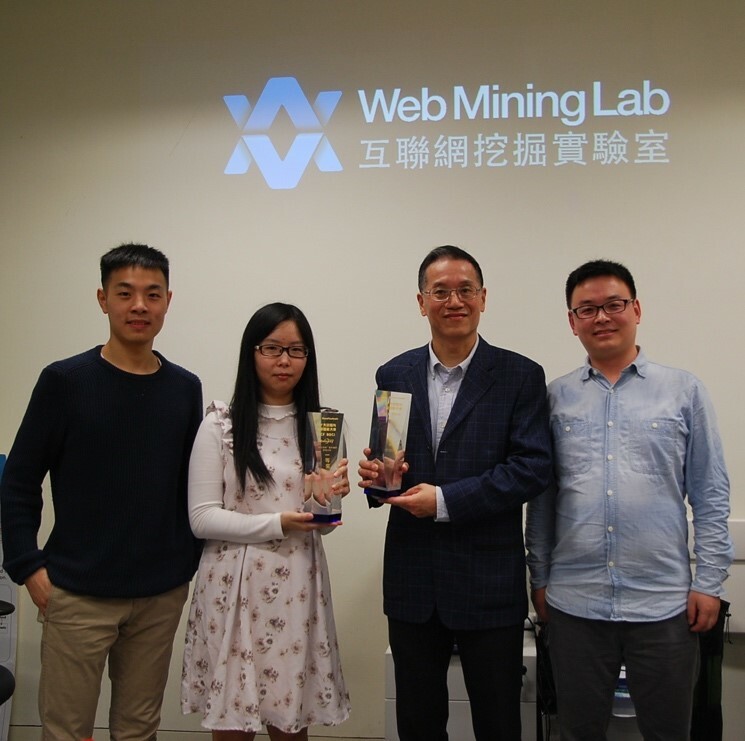 A student team from the lab won the champion of this year’s Discovery-enriched Curriculum Annual Award(DEC) granted by the College of Liberal Arts and Social Sciences (CLASS) at City University of Hong Kong on May 28. DEC Award honors excellent student activities on discovery, innovation and community engagement, emphasizing those problem-focused researches on people and societies in Asia and beyond. The team receives the DEC Award for the work on building an International Conflicted Opinion Mining & Detection System. Based on lab’s core technologies and abundant international datasets, this system supports data mining, analyzing, forecasting, with a powerful visualized presentation on international conflicted opinion evolution, especially the third parties. The team consisted three students, Zening Duan of MACNM 2018 (left), Anqi Shen of MACNM 2017 (middle left) and Chuang Yin of PhD year 1 (right), who jointly won the annual DEC Award.